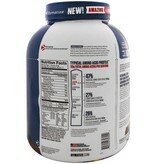 New Flavor. Hydrolyzed 100% Whey Protein Isolate. 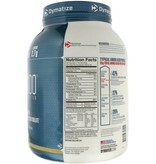 You expect only the best from yourself and your nutrition. ISO-100 is one of the most advanced and effective proteins available—developed to give you 100% of what you need to support muscle growth and achieve your goals. 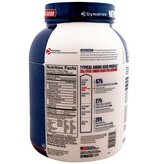 The Fastest-Acting Protein. 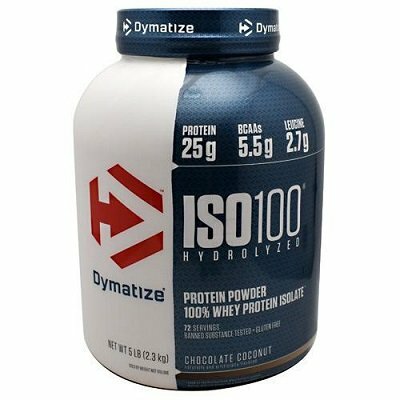 ISO-100 provides 25 grams of super-fast absorbing 100% whey protein isolate and has been hydrolyzed for even faster absorption and digestion. 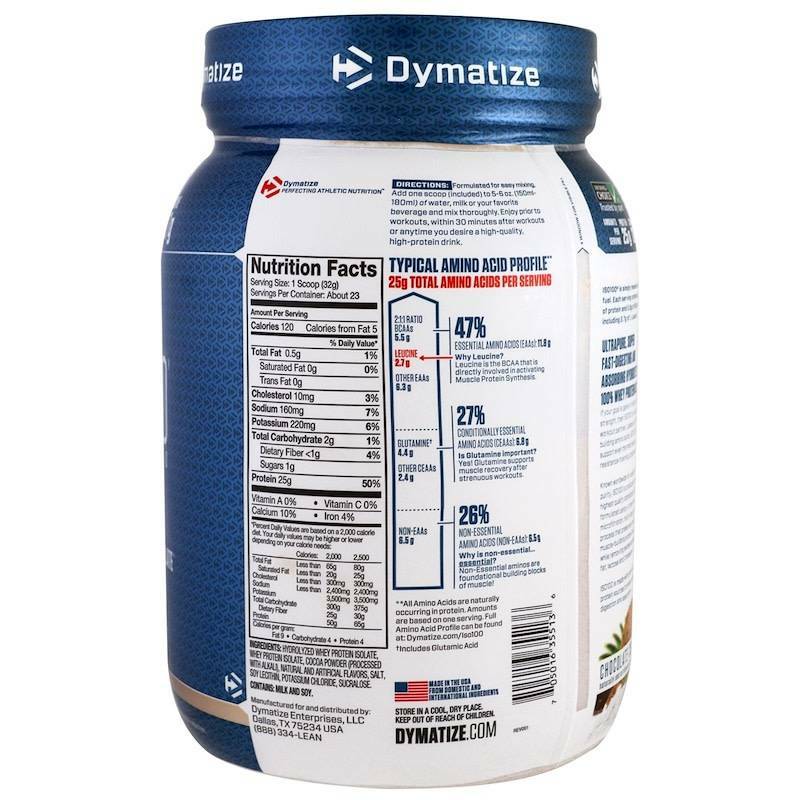 It delivers quick amino acid replenishment, perfect first thing in the morning to stop catabolism or after intense training to speed your recovery. 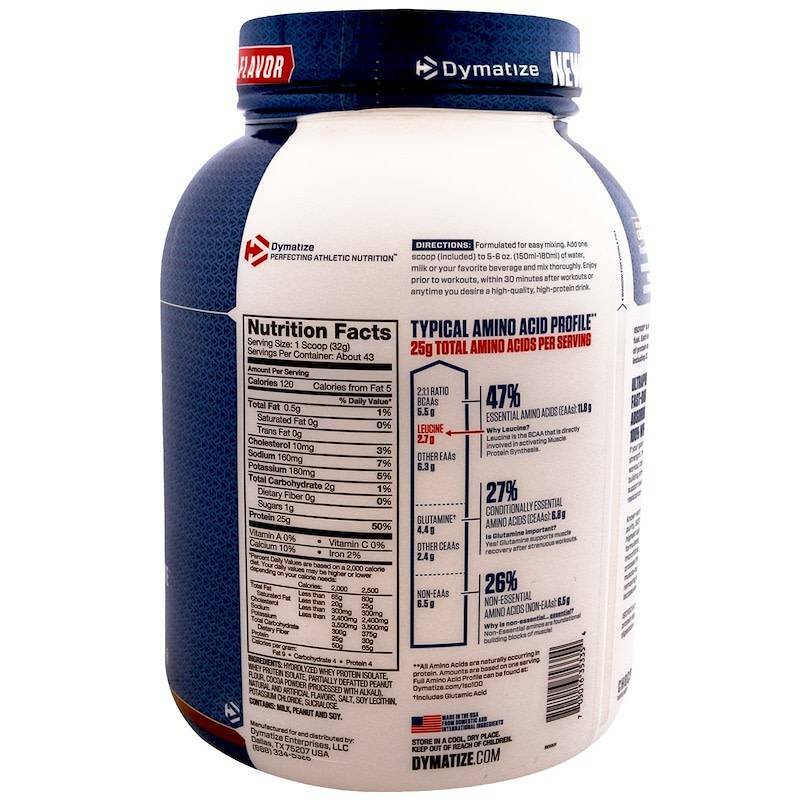 Each serving of ISO-100 has 5.5 grams of BCAAs including 2.7 grams of L-Leucine, the BCAA that is directly involved in activating Muscle Protein Synthesis to ensure your workouts are not going to waste. 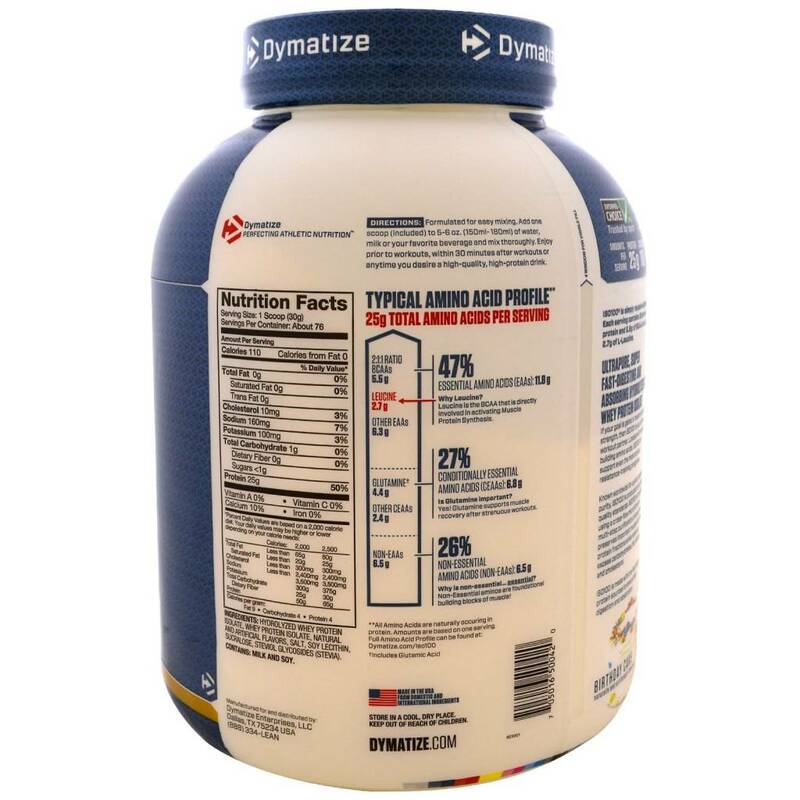 The Highest Level of Purity. 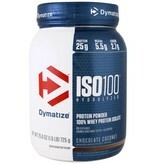 ISO-100 uses only whey proteins derived from cross-flow microfiltration processing (cold-filtered) to preserve the many important whey protein fractions including lactoferrin and immunoglobins, which can be lost in other forms of processing. 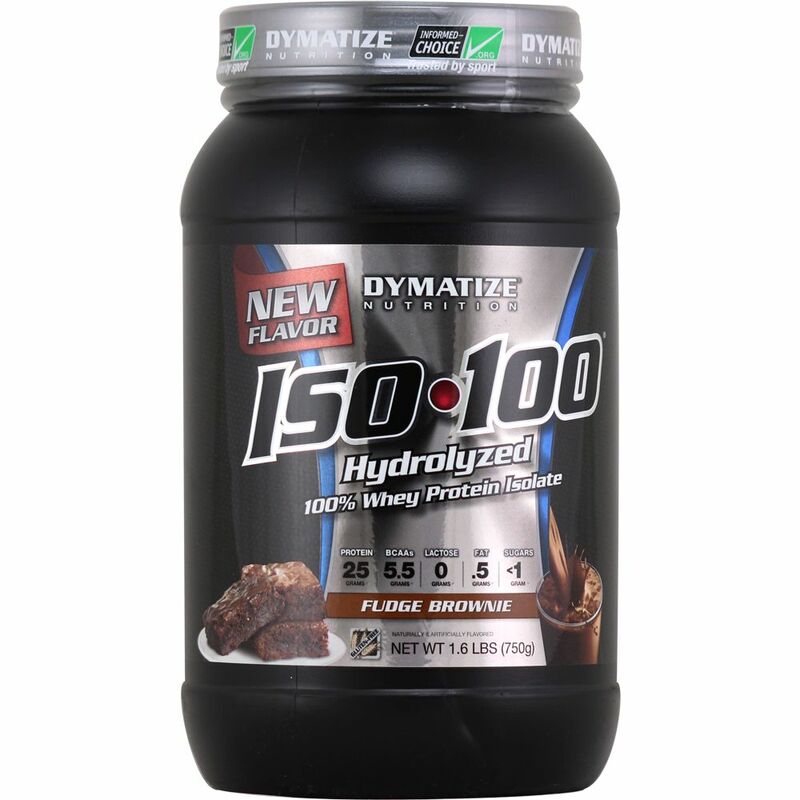 We have carefully formulated ISO-100 to deliver more of what you want, and less of what you don't: free of gluten and lactose—plus less than one gram of sugars and fat. 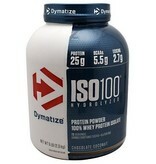 With only a short list of ingredients, it is easy to see why ISO-100 is one of the purest proteins available. 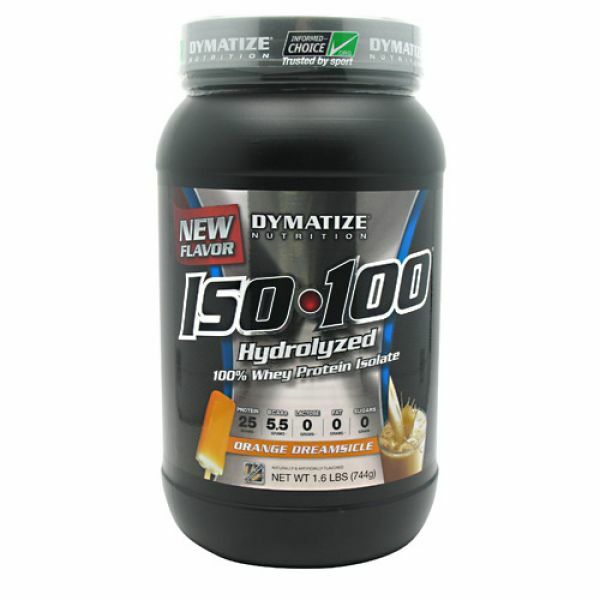 In addition, ISO-100 is produced in our own GMP manufacturing facility and is Informed-Choice Trusted by Sport certified providing assurance to the athletic community that ISO-100 is free of banned substances. 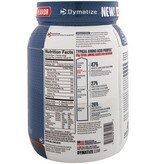 New Improved Taste. 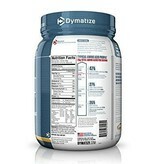 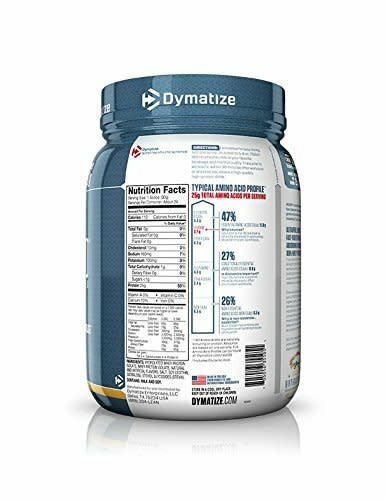 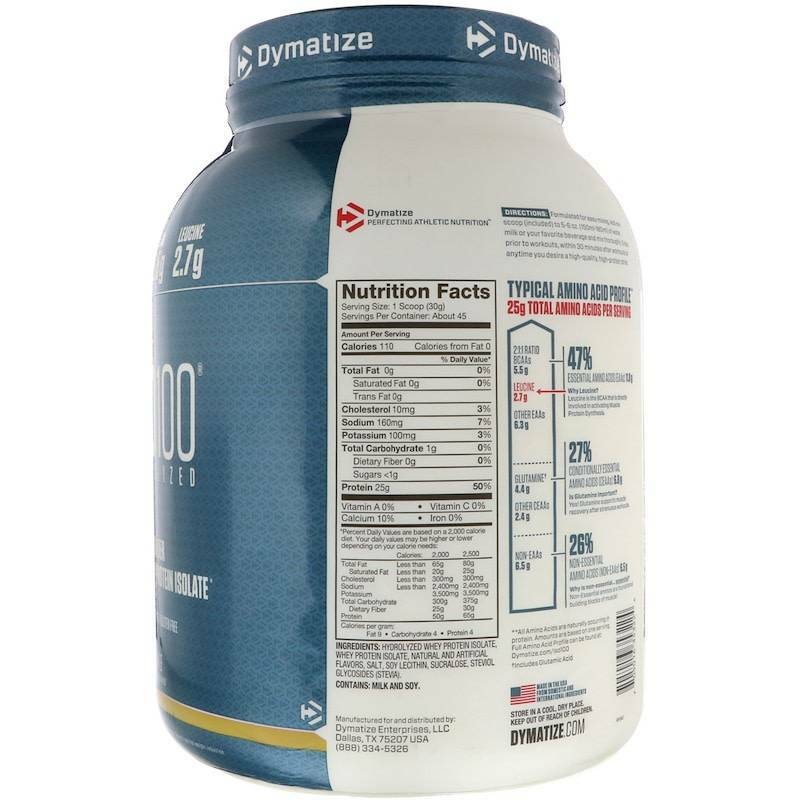 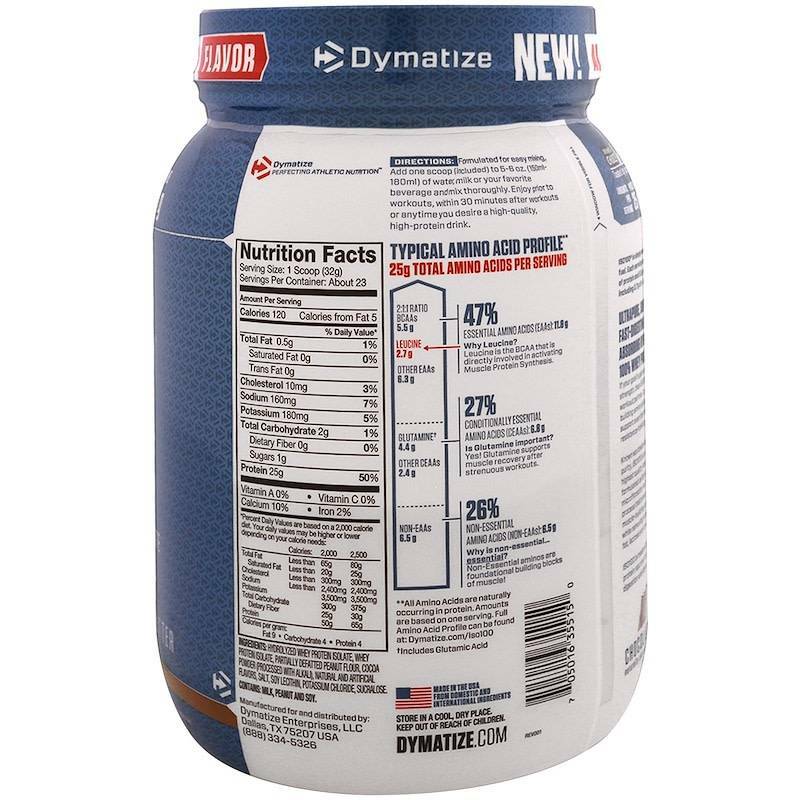 The Dymatize has taken flavor to a whole new level. 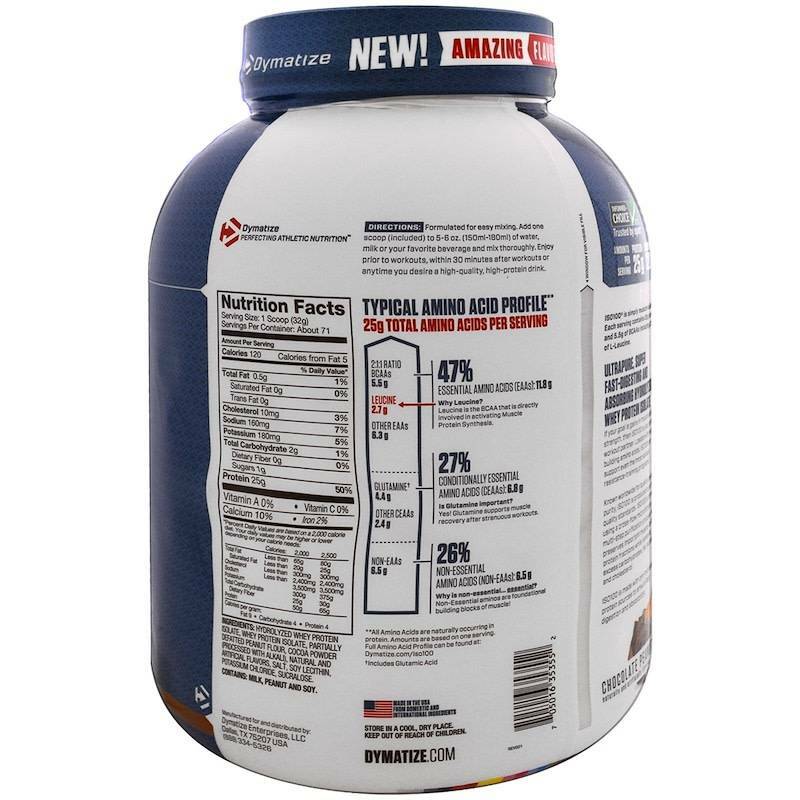 Our in-house flavor specialists worked long and hard to create an even more delicious taste. 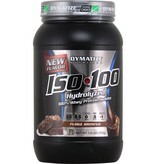 ISO-100, the reward you deserve for all your hard work and dedication. So delightfully delicious, you will look forward to the next shake. 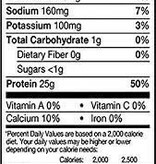 Amount Per Serving% Daily Value*Calories 110 -Calories from Fat 5 -Total Fat 0 g 0%Saturated Fat 0 g 0%Trans Fat 0 g -Cholesterol 5 mg 2%Sodium 150 mg 6%Potassium 160 mg 5%Total Carbohydrate 1 g 0%Dietary Fiber 0 g 0%Sugars 1 g -Protein 25 g -Vitamin A 0%Vitamin C 0%Calcium 15%Iron 0% Ingredients: Hydrolyzed Whey Protein Isolates, Natural and Artificial Flavors, Salt, Sucralose, Stevia Leaf Extract. 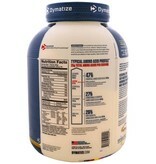 Contains milk and soy (lecithin).